Get small and go big! 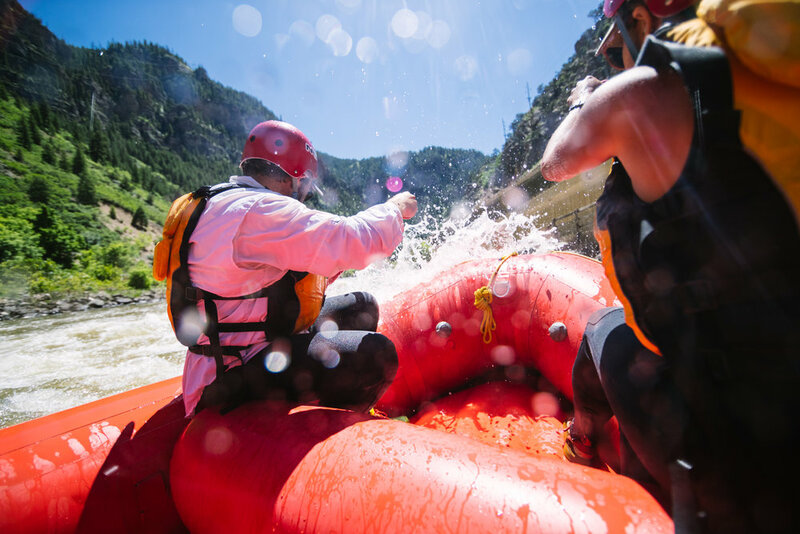 Our High-Five rafts have room for three to four adults (five if you count your guide). With its punchy design and broad posture, the High-Five amps any trip to 11. Also available as a $10/person upgrade on our Double Shoshone Half-Day trips. Requirements: Limited availability. Paddlers must be able to self-rescue. anyone wanting an extra shot of adrenaline.